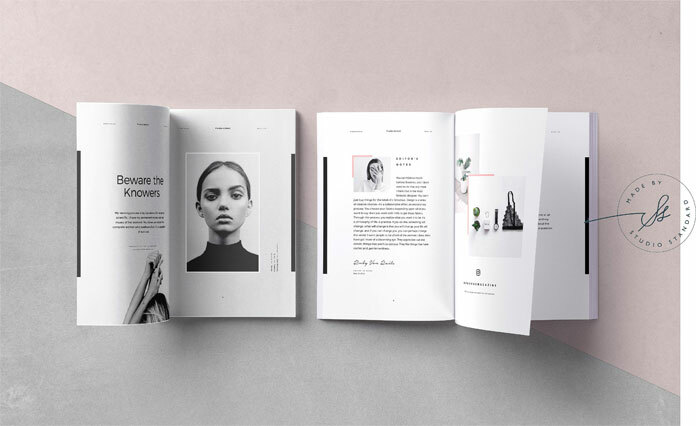 Phoebe, a fashion and lifestyle magazine template for Adobe InDesign by Studio Standard. 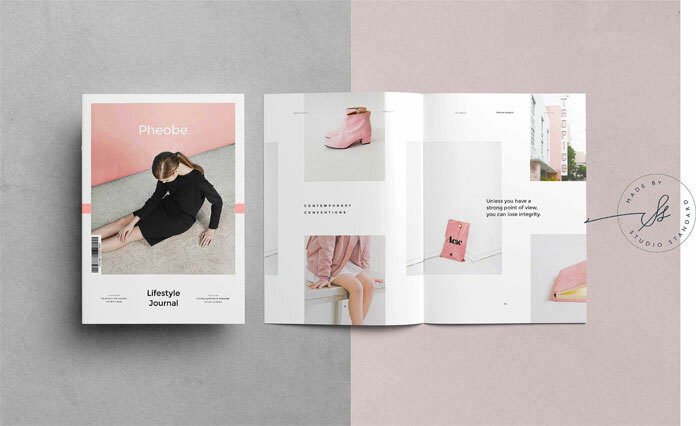 Equipped with 72 well designed pages, Studio Standard has recently published a new Adobe InDesign magazine template called “Phoebe”. It has been designed especially for fashion and lifestyle magazines. With layered images, bold graphics, and great colors, the complete layout is based on a minimalist, modern, and elegant look. Everything is fully editable and print ready. Just drag and drop your own images, adjust colors, change text sections, that’s it. Get further details below or click on the following link. You can get it on Creative Market. 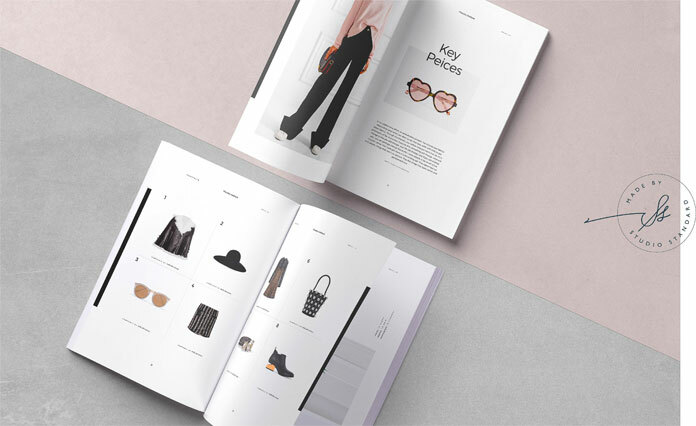 Fashion and lifestyle magazine template for Adobe InDesign. 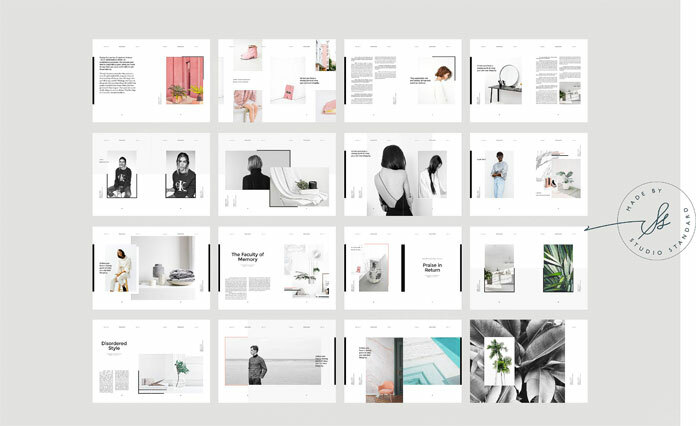 As already mentioned, the template comprises 72 fully editable pages. It comes in A4 and US letter dimensions. 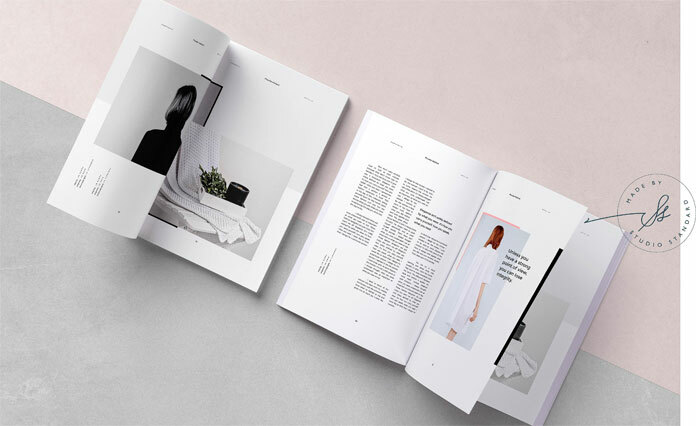 This highly professional Adobe InDesign magazine template includes paragraph and character styles, master pages, and separate layers for images, text, and background. The shown images are not included. Only free fonts have been used. Please note, this product requires InDesign. You can get the latest version from the Adobe Creative Cloud website, just check it out here. For additional information on all options and features, please click on the following link. A beautifully spaced, minimalist layout. 72 pages with layered imagery, bold graphics and great colors. Get the template for low budget on Creative Market. 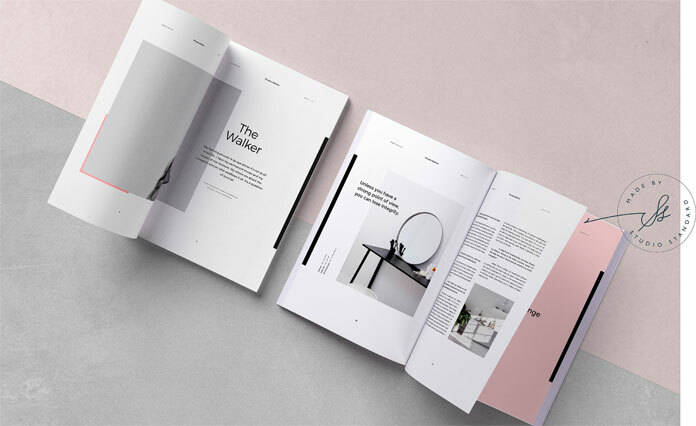 The post Phoebe – Adobe InDesign Magazine Template appeared first on WE AND THE COLOR.